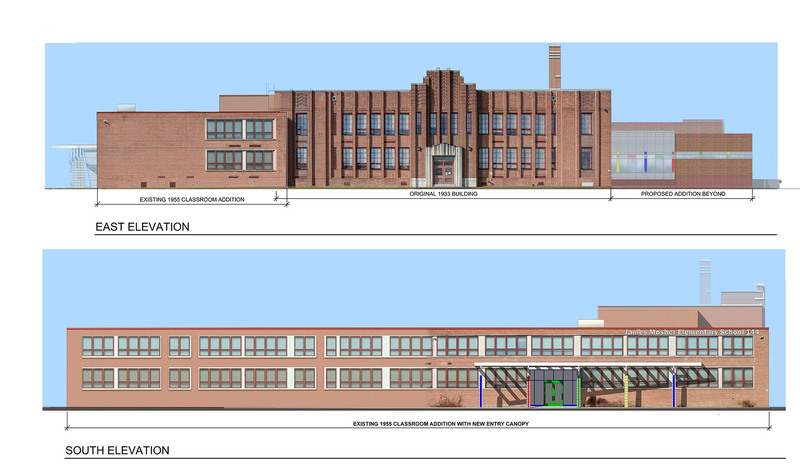 Colimore Architects completed a feasibility study for Baltimore City and 21st Century Schools evaluating renovation and building addition options for James Mosher Elementary School in west Baltimore. 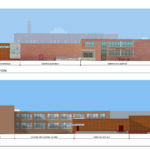 The City wishes to combine enrollment from the surrounding neighborhoods with pre-kindergarten through second grade students attending James Mosher and third through eighth grade students attending the new Calverton Elementary/Middle School. 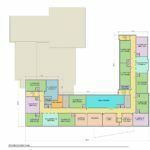 Our study outlines a complete systemic and building envelope renovation of 60,850 SF and proposes 17,000 SF of new construction. 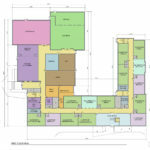 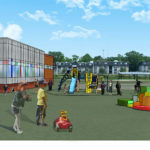 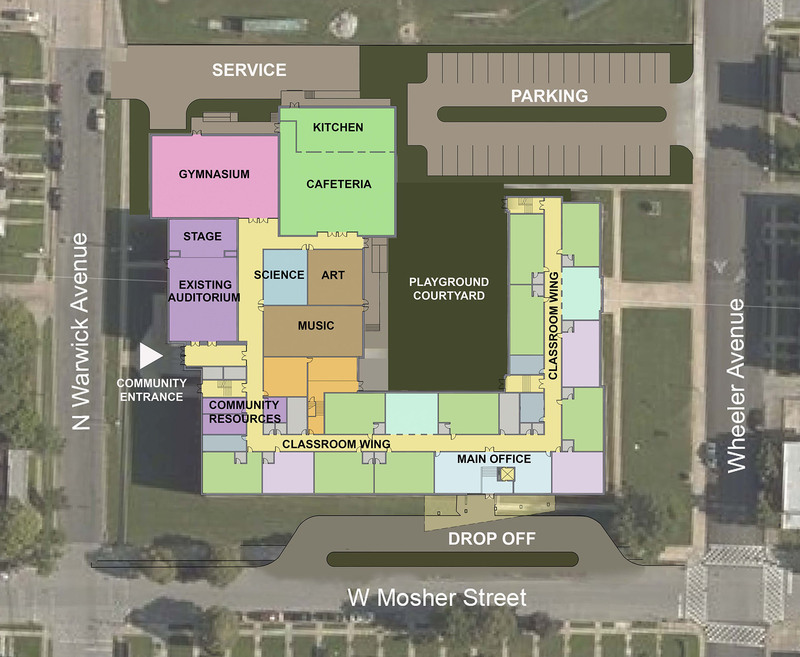 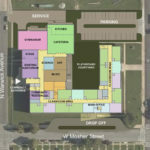 Besides providing a new gymnasium, cafeteria and kitchen along with additional classroom space, the proposed design emphasizes student safety with a new covered bus drop-off and secure interior playground separated from traffic and service drives. 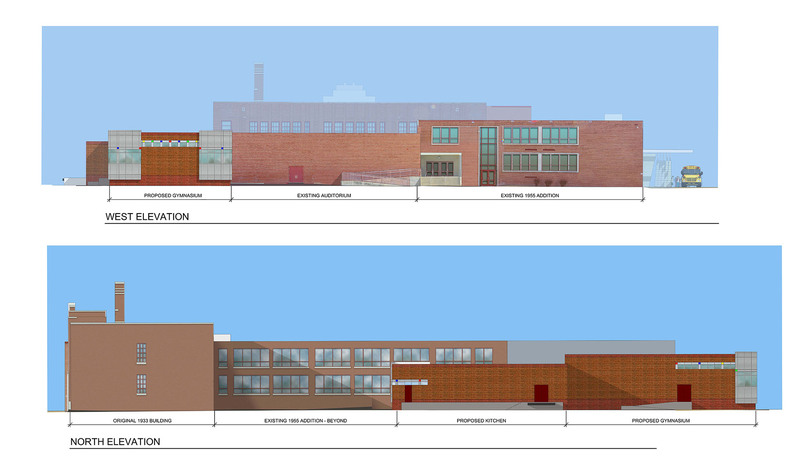 The architecture of the proposed new construction compliments both the existing art deco style of the original school and the 1950s contemporary design of the addition. 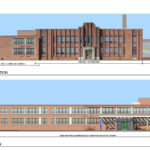 Brick masonry is common throughout with the addition of metal wall panels and large extents of glass. 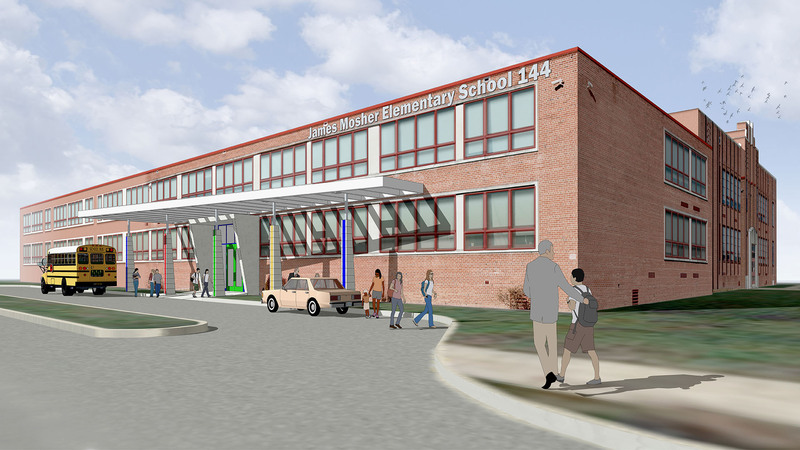 Brightly colored metal and tile panels provide a whimsical accent at the exterior. 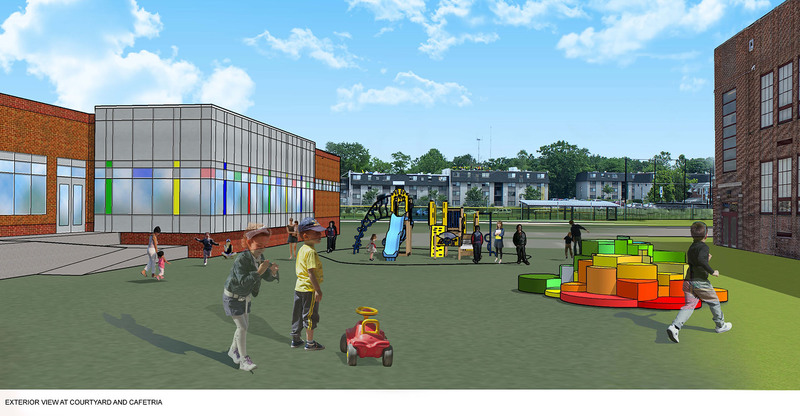 Colored glass panels alter the natural light entering the common areas of the cafeteria and gymnasium. 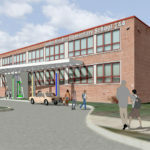 An entry canopy at the new bus drop-off helps define the main entrance which is currently less pronounced and grand than the original yet abandoned entrance around the corner. 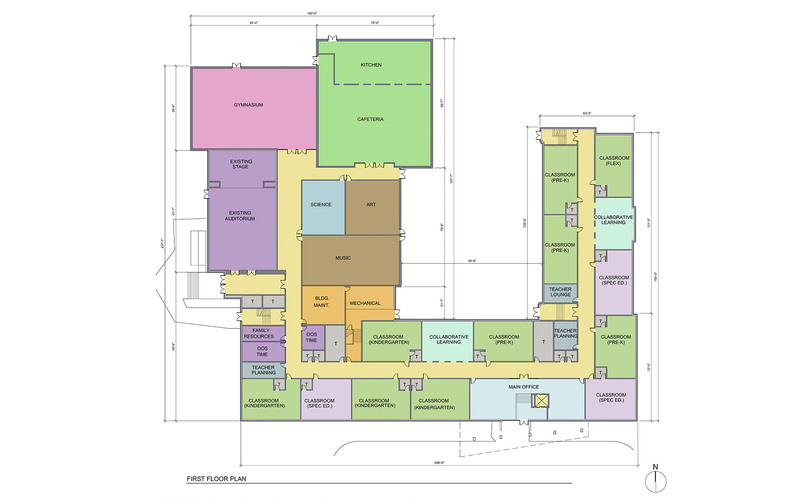 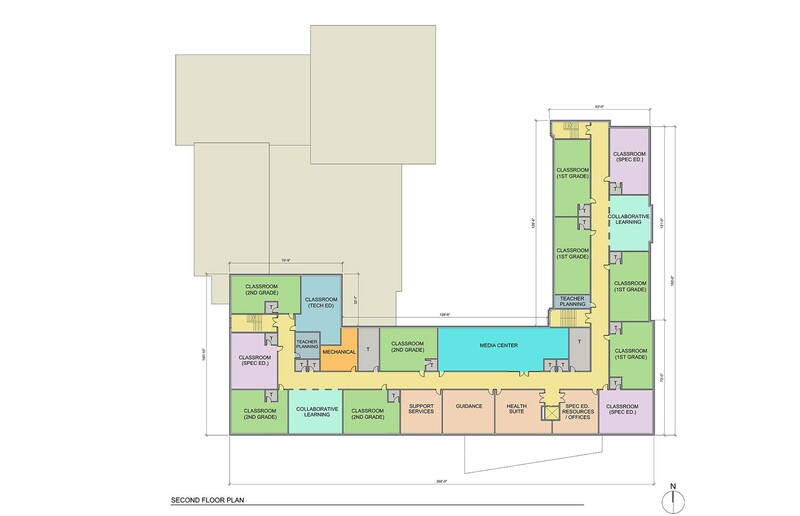 The proposed floor plan offers opportunities to engage the original entrance with first floor collaborative learning space, expanding the classroom to newly landscaped exterior plazas and gardens.